If you are a mom, or plan to be someday, or even a grandma, or ok, just anybody who wants to finally, for real, get rid of any extra belly fat, this is my first choice for the BEST book you could have on your team! This author goes out of his way to explain EVERYTHING there is to know about the health concerns, health issues, what to eat, what to buy, how to make it, it's absolutely priceless!! I have had 4 kids, and honestly, it's kinda like, well, I don't have tons, or a lot, yeah, it'd be great to lose it, but I have no time!! Well, this book points out all the health problems that could come from excess belly fat, heart disease, diabetes, liver problems, and even dementia! That really isn't something I have time to think about, even though it is very important and should be something I think about!! You do NOT have to count calories, carbs or fat grams!! There is NO weighing or portioning!! You will NOT be tired and grumpy all the time!! You will NOT feel hungry all the time!! YOU WILL PROBABLY LOSE WEIGHT FASTER THEN YOU EXPECT!! They always say it is not safe to lose more then 2 lbs per week, but that is because they figure you are cutting back on calories, and in turn, if you are losing this much, well, that means you are reducing your calorie intake to unhealthy levels. This makes sense! With this diet, you actually CAN lose more, because you are NOT counting calories, but rather, you are resetting and maximizing your body's fat burning and fat storing systems, so you can indeed lose more then 2 lbs per week!! You will learn about the foods you can eat, which by the way, is a very generous list;) and he even says that, yes, you can actually "cheat" once a week and have a couple pieces of pizza or even a Snickers! YAY! Did you know that the majority of diets out there are actually worse for belly fat?? That is a very interesting fact and makes a lot of sense, especially when you are merely cutting calories, and not eating the proper foods. I am delighted to have found a book that actually will work for me, and that I have time for!! 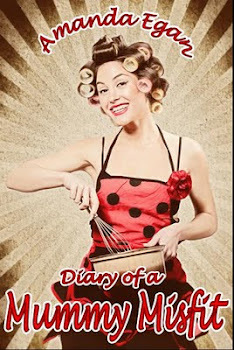 This book also has a shopping list and lots of scrumptious recipes. You can grab this book on Amazon and it is available on Kindle, so you can get started asap!! Have you tried this diet? Please leave comments below!! I would love to get this started with me right away and I am planning on super good results, and would love to hear any success stories from you!! I apologize I took a few days off here, I kind of have a "gig' I do on the side, for www.Fiverr.com, and after some technical difficulties, and issues, I was pretty backed up!! I am almost caught up there, and have lots of book reviews coming in the next few days from there as well! I actually planned on posting 2 reviews today, but honestly, I was super busy making contacts, networking, and landing some more gigs, and received some very awesome book review opportunities!! TONS OF THEM!! Mystery, thrillers, political, children's, and bunches more!! I love the June line up and I hope you will too!! Tomorrow is also an announcement of a very cool eBook giveaway!!!! Every 200 entries, will add a prize! You can enter several different ways and wait until you see the awesome lineup you can unlock!!!! So, look for that announcement tomorrow!! June will be booked solid!! Meaning, if you need a review of any kind, you will be scheduled, but we are scheduling into July now! The 2nd week of July is almost booked solid, after today lol, so if you can wait until the third week, contact me!!! Click my social media buttons on the top right, and you can see who will be checking out your books, or products!! and then.... email me at busymommylist@yahoo.com asap!! I have room for 15 more books, a few more products and after that, we will be in August!!!! I am happy to have found this, as it explains a lot of how blogging and social media works. It's a fun hobby, or job, and it is very rewarding!!! You are your own boss, and you can spend as much or as little time as you want! These are a very nice idea for Father's Day eCards! You can join Ojolie for only $12 a year, or grab the better deal at $18 for 2 years! and they even offer free eCards! There are tons of beautiful cards and they are all animated and hand painted!! They are all breathtaking and absolutely stunning! You can surely find any card to fit your needs, all occasions, types, all year cards, and I am certain the receiver of these animated cards will truly go head over heels over these! 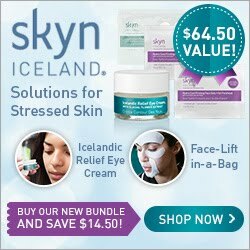 The story behind this site and their business is also very fascinating! You can read about Ojolie, a husband and wife team here. Please leave any comments below and let us know if you ever used this service or any like it, which one is your favorite? Whether you are a Democrat or a Republican, or an Independent, you certainly have had to question what exactly happened here (in this country), on September 11, 2001. Well, and many other things that has been taking place in our government over the last, I'd say, century and currently! In any case, this is a good story, based on the author's speculation of what would have happened if we would have had a different president during this time period. 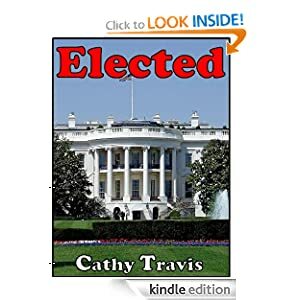 Cathy Travis is a good writer, and has lots of experience with both writing, and politics. She has been writing since age 11, and has worked on Capitol Hill for 25 years. This is a page turner, short and sweet and to the point. There is a lot of action, and is an excellent political thriller! I read this in a short amount of time, and this would be one of those books I would take with to the park, or out by the pool. You can read more about Cathy Travis and her other books here. Elected is a good what if book, and offers opinions and events that I haven't read yet about this time, so for me, that was an added bonus! I enjoyed how the story took place and how the events and people were similar, but not really. She has a nice list of other books she has written, some that I am definitely going to check out! I enjoy her writing, and this was easy to follow, even with so many characters and people being involved in the story. Cathy Travis worked on Capitol Hill for 25 years as a communications director, senior advisor and political consultant for various Members of Congress until her early retirement. A native of Jonesboro, Arkansas, Travis graduated from Arkansas State University and resides in Washington, D.C.
Have you read this book? If you are a member of a book discussion group, reading group or a mom's group, this would make for some very good discussion!! Please comment below and let me know what you thought of this book! This is an excellent book for anyone who may want to use The Paleo Diet in their lives to maybe lose weight, eat a healthier all around diet, or due to health concerns. I would recommend this book as being your first source if information and for all the answers to your questions. 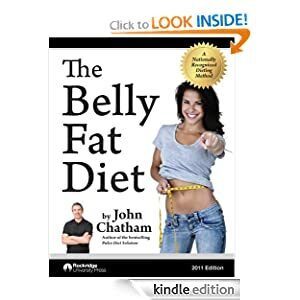 There are lots of chapters in here, and John Chatham has covered every angle of this diet,everything from the lists of foods that you can eat, the list of foods that you cannot eat, how to find and buy these foods, recipes to use, what the Paleo diet is, where it came from, and what it is. Have you ever heard of the Paleo diet? I have, but never really knew what it was. Can I do it? I doubt it, at least not at this point in my life. I am to much of a coffee drinker to let that go! Some nights, coffee is all I have to get me through when my RSD is super bad. You will have to give up sugars, alcohol, and processed foods to officially be on this diet. The point is that years and years and years ago, cavemen, didn't eat processed foods. This diet is also sometimes called, The caveman's Diet, The Hunter Gatherers Diet or The Stone Age Diet. Meaning that the foods eaten were all foods that were able to be hunted, fished, or foraged. Makes sense to me, I mean, they weren't eating dairy and processed foods then, and we all know that these are both foods that are the cause of many health concerns. Heart disease, Diabetes, and obesity are all caused by our modern diets and foods. This is however, a diet that would help somebody in your family, a friend, maybe yourself! Of course, it would help everybody, for instance, my mother in law could really use this. So, my plans are to use this book as a way to introduce her to this, and when she comes back to her house from her most recent visit at the hospital, all of her cabinets and fridge will be stocked with these foods! This book is an excellent guide for me. 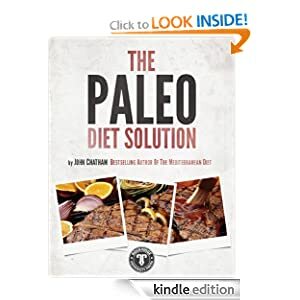 If you have a family member, a friend or if you are looking for a diet that will truly help you achieve a healthier lifestyle, or lose weight, The Paleo Diet Solution by John Chatham should be your first choice when researching this diet. It is the most helpful book for any diet I have ever read, as it includes lots of information, recipes, lists and everything you need to get started! You can buy this book on Amazon!! Please leave any comments below and let me know if you read this book, did you find it as helpful as I did? What are your thoughts on this specific diet? I love anything natural, especially when it has to do with what my kids will be eating in the coming months. Our garden would be much more organic and healthier, with organic soil and organic plant food! That is how I would love to see my backyard! I will have to keep you all updated of our gardening adventures this season. with I think this goal will be much easier to accomplish! This all seems so simple to me, you want an organic garden, you want to feed your family the best you can. Why would we want to use anything other then soil or plant and vegetable food that uses aything other then only ingredients from the earth? make sure you grab a coupon for $3 off your next purchase! In this day and age, it makes me wonder sometimes if we even have any hope left for our future. There are days I literally sit and wonder about this and have a hard time finding, "the light at the end of the tunnel", with all of this news and so many horrible things happening everyday. It really takes a toll on people, and sometimes I start to lose hope. I was asked to read this book and post my honest review, and I have to say it is refreshing to read such a book, and it truly starts to get your spirits back up! 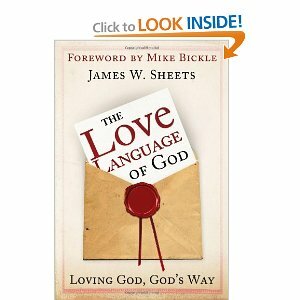 James W Sheets, does a fantastic job with his book, and sharing his visions, I hope more read this book, and learn from it. This is a very well written book, and you will want to share it with your friends and family, however, I would share as in, buying them a copy. you will want to keep your book to return to for reference, many times! It is also an easy read, a huge plus! You will be able to absorb and comprehend and keep the words and understand all of it! James has a lot of experience and is able to process this information, and share it with the rest of us in such a way that we can gather, share and use this book, for many times and years to come. James W. Sheets, has a couple websites that will surely be of interest to you! you can check them out here and here! James Sheets (1957-Present) was born in Atlanta, Georgia. He was listed in Who's Who Among American High School Students in 1975. He has a Theology degree from Adonai Christian International University. He has served for over 34 years in the capacity of pastor, teacher, evangelist, counselor, author, songwriter, worship leader, missionary, life coach, and mentor to other spiritual leaders. He is the Director of Passion for Jesus Ministries (www.passionforjesus.org) and co-founder and co-director (with his lovely wife, Dr. Kaye Sheets) of the Atlanta South Metro House of Prayer (ASMHOP) located in Stockbridge, Georgia. His first book, "The Love Language of God" (Loving God, God's Way) published by Destiny Image Publishing, is the fruit of 39 years of asking the hard questions, "What does it mean to 'really' be a Christian, how does one love God, and how do I get there from here?" I was very excited to try out these products from Mont Bleu, and was amazed at how gorgeous these glass files were when I received the box!! 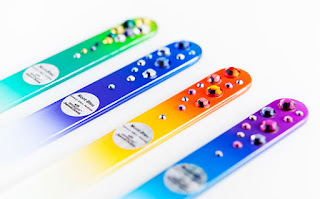 These are just simply the most pretty nail files, I have ever seen, and after using them, I would have to say they are also the best nail files I have ever used!! You can check them out here!! Buy glass nail files and I guarantee you will fall in love with these pretty little things too!! Not only do they look super cute, they are much more gentle and more effective then any other nail file out there!! from Mont Bleu are made with SWAROVSKI® ELEMENTS. I also received a pair of tweezers in my package, and a beautiful pair of earrings! They all come in their own cute little pouches, and are VERY reasonably priced!! If you are interested in wholesale, they have some nice prices and offers for you as well! Plus, you can honestly stand behind this company and their products. I started this blog, and my 2nd blog, (www.momscrazyday.com), a little over a year ago, and had big giant plans for both of these sites. What started as a blog on, momscrazyday, to help others learn the art of coupons, finding deals, freebies, samples, discounts, recipes, (the recipe part is being worked on every day), and how to earn money online, and well, I guess all that other good stuff that mommies like to share. ell, that blog pretty much is what I wanted, I have some reviews over there, and some other content. I also wish I had more time to share personal stories about my family and all the funny things the kids say and do. I don't get to post that very often, and as soon as I am organized a little better, have a better schedule, and figure out what days are best for what, that part is still going to happen. This blog however, was supposed to be a little bit about me and my little ones, and all of our favorite stuff, our reviews, and most importantly, BOOKS. So, I think I have been accomplishing this part of it and I am fairly content with it. My next main goal was to help small businesses, direct sellers, crafters, companies that are owned by stay at home moms, families, and even brands that I personally use and love. 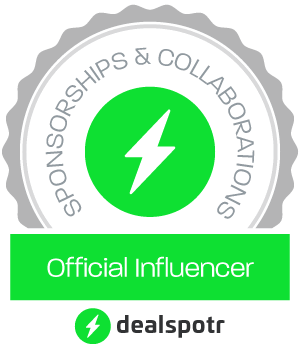 So, I do have a lot of companies and people like this, that I help promote and share with my readers. I love small business and I love standing behind the brands i use and truly adore, so if you do see ads and links for places like this, rest assured, I am not just linking to places I know nothing about. That being said, I am a firm believer in helping others who are just starting out with blogging. I started out with nothing and am still fairly small and I learn new and fun things each day! I am blessed with many friends and family who stand behind me and believe in me! So, just in case you are wondering, yes, I will also have blogs and websites on my blogs and social networks that I love to read and will help any newbies out:) I still consider myself one, so any help I can get is always appreciated and in return, I love to help others and share any success stories with them. I also really enjoy those sites and programs that will pay you to take surveys and open emails, shop, and all that other fun stuff! I do share and post most of that on Momscrazyday! My next project, on top of all of this, is to make a mom planner that is useful and cheap! I have no idea how to make eBooks, (another plan I have), or how to attempt our lip gloss and lip balm brand, or how to gather the best pages, covers, ideas, and where do I go to get these made to sell?? I have been shopping for one that would have all I need in one, and have had no luck, so I decided I will learn how to make my own. Any suggestions are appreciated:) As usual!! Lol! In any case, this is what I am doing here, and I plan on being here for a very long time! I was asked to read and review this book by a friend, and I had a lot of fun checking out Amanda Egan's blog before I started reading. A lot of fun there, by the way, so I suggest you head on over to Diary of a Mummy Misfit, and check it out! I especially liked the fact that I have only been blogging for a year now, even though I have been reading and studying and following other blogs for several years, I have heard of this one, and I have heard of this book, so I was super excited when I saw which book I was reading next! I also like the London part, so since I am from Pennsylvania, (USA), I don't run into very many people who call themselves, mummys:) so I really enjoyed reading her book, and getting to learn some new words. It was neat reading Amanda Egan's diary, and being able to crack up at some crazy stuff, and be able to laugh and think, "OMG!! ", and "Wow! We really are all almost alike, so that means I am really not insane!" From her son, to her friends, to her husband, her gay friends, her pregnancy, everything that happens on a daily basis to a mom, or mummy, is actually rather interesting when you think about it! I used to contemplate writing a story about my days, that is kind of why I started my blogs, but I decided I have no clue where to begin, who do I contact, where do I go to start such a thing? Of course, I just ended up deciding that I will do that someday! I am sure most of you wake up in the mornings, or the middle of the night and think, "My life would make an awesome sitcom!!" Or at least when you have all of your relatives over, AKA my mother in law, omg! Anyway, I thoroughly enjoyed this book! I laughed and laughed and at parts thought, "Oh no!". and I went to Amazon to read more about her other books and found that there are quite a few of us who adore this mummy misfit! I would recommend this book to any mom! I even called my mom about this book and she doesn't have a computer unfortunately, but she said, she would really like to read this book too. (My mom always loves stuff from London), especially music and books so i am wondering if this book will be in paperback anytime soon?? and she even has a Facebook page! I seriously have a new addiction, and of course it has to do with reading, and networking, social media, social marketing, lol, but my addiction is this site that carries all of the books and guides I have been looking for! I am so happy to have been given a chance to download some books from this site! This one, in particular, Social Networking and it's Swift Growth, is just the beginning of many more just like it available for immediate download on this site! It definitely fell right into place with what I have been trying to get accomplished online. This is a very, straight to the point guide, it isn't overbearing, great for a beginner, and teaches you right off the bat, what social media is, and it's benefits. Of course we have all heard of Facebook, Twitter, Blogs, and so on, but for those of you who don't know very much about what you can gain from networking and how to actually network in the most beneficial way possible, this book is definitely for you! (It was also a book for me, as even though I have heard of these places and have the accounts set up) there is valuable information that could prove to be quite helpful! Are you a stay at home mom? A blogger? A small business? Do you want to learn how to get the most from all of the advertising and networking that is available to us? Then, I would highly recommend this book! I will be doing several series of book reviews for books on this site, because it is my most favorite place to gather reputable books, guides and legitimate information that will hopefully help me throughout my blogging and networking career. So, if you have any experience with this site, Roadrunner-Digital.com and any of the books, please always feel free to comment! Stay on the lookout for 30 Lip Balm and Gloss Recipes and many more along those lines as well! I think my youngest daughter , Genevive and I will be working on this in the next week or so, so we will have to post pictures and share our recipes and outcomes!! This was our second book in this series and just like the Japanese version, we had a good time with this as well! Another reason we chose this, is because of our neighbors. Helga, is a very sweet lady who lives across the street with her husband. She came over here with him after WW2 and still has a very heavy German accent and of course, speaks it fluently. We also do live in a predominately Dutch/German area, but if Helga could hear the little ones speaking her language, I thought this would make her smile! So, we are going to be practicing and brushing up so that we can carry on conversations with her in her language! I really enjoyed doing these reviews for the lightning fast series for Carolyn Woods. The kids also had fun and learned a lot, and we are anxious to try some more of her books very soon! I do believe I am going to keep searching for some sort of CD so that we know for sure we are speaking properly. I highly recommend this series, for parents, even teachers, church groups, especially home schools! Carolyn has a very neat way of teaching languages, by simply applying it to everyday life. The books are also filled with games, activities, and excellent examples of how to apply this during your regular routines! this is also a big plus, considering how there never seems to be a lot of time for anything!! Who better to make such a wonderful series for busy parents and families, then a busy mom of 4 herself? I was very excited when I received an email from Carolyn Woods, asking if we would be interested in reviewing her Lightning Fast (insert your choice) for Kids and Families book. This was something I have been wanting to get started on with my kids and something I thought would be fun for me as well. We chose German, (which I will be posting about next), but she also had a Japanese version, and the kids were anxious for this one, so she kindly sent me the file for Japanese too! The kids have tons of fun learning this language! Especially Aaron, who was the main one who said, "Let's learn Japanese!!! ", and Carol makes it fit into everyday life, so there was no studying for 2 hours a day or anything added to our already hectic schedule. You just simply start out asking and answering in the language you chose, just as you would talk and communicate in everyday settings. For instance, you can start out with waking up in the morning and asking questions about what would you like to wear to school today? The way she teaches this makes so much sense! Just jump right in and start! So, you can ask "What are you going to wear to school today?" Your child/children, can answer (with your help at first of course, and lots of printing and reading from the book:), with the type of clothing, the color, and there you go! You and your children already started learning Japanese!! I really like how she wrote the book to fit into our everyday life, this was something that just seems to make so much sense, and yet I don't think I have ever come across this, when shopping online for a simple and quick way to teach my kids. The book has several chapters that all fit into our lives, from going outside, to breakfast, to dinner, and she even has "I Spy" games, and other practice games as well. It is also very easy to read, it doesn't scare you away in the least bit, and it really just starts to come as a second language in your house! We are anxious to learn more languages now, and I am also contemplating home school for my children, and I would certainly recommend Carolyn Wood's Lightning Fast series for home schools, and just for parents who would like to open their families and children up to other languages and cultures. Carolyn includes many different good ideas and tips along the way, and it's almost like having a teacher right there in the pages. Unlike other books I have found where it is simply a word, and then the translation. The way she wrote these books, really seems to help get through it all much quicker, without sacrificing anything important. We will be also going back to her books for reference along the way, and using them again for refreshers. Another cool thing I have to mention, Carolyn Woods, is also a very busy mother of 4, just like me! So, I was happy to have this opportunity to use her books and review them! I also believe that this is exactly why and how she has made such an amazing and simple way for us to teach these other languages to our children! I would love to hear any comments from any of you who have used these books! 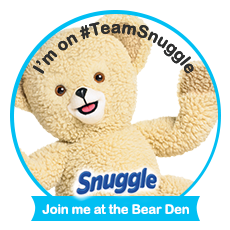 Please comment with your review links, blog links, and share your opinions! I can promise you that you have never read a book quite like this one before. (unless of course you already read this book) I have read many books in my 38 years, and never have come across something as beautifully written, as horrifying as Nickels A Tale of Dissociation. Christine Stark, takes you on a truly terrifying, yet enchanting, trip through the mind of an abused child, violently abused child actually, and as grotesque and as evil as what happens to Little Miss So and So, you will find that you are drawn to this story in such a way that you have never experienced before. This story starts with Little Miss So and So at age 4, all the way up to age 25 and a half. You will walk through this beautiful little girl's mind as she goes through each horrid day and night, all while being sexually abused by her dad. She goes to school, has friends, has regular little girl issues and problems, and has a whole mess of problems at home. People and classmates think she is crazy, crazy girl, and she goes through so many twisted things that none of us ever want to have to think about. But somewhere out there, this happens to children, to many children, and this book really hits home. This is definitely a book that will make you sick, make you very sad, disgusted, I am sure my blood pressure was boiling quite a few times! Yet, you keep reading because you keep hoping that somehow, Little Miss So and so, will end up having a breakthrough, be able to find her place, be healed and be loved. Which is the better part of the story. You may think that it would be such a fantastic ride, through a little kid's mind, and to read what they are thinking, imagining, how they interpret things, how they see us, see others, what they are feeling, and so on. I guess it still is, it's just very scary through this sad little girl's mind, and it brings in new light, the phrase, "walking in someone elses' shoes". There is also much to learn from this book, as little Miss So and So, reaches adulthood and starts to embrace herself, who she is, where she has been and who she can be. Dissociation is something I didn't know much about until I received this book in return for my review, so I started to investigate and research this and found so much information. Dissociation is a rather broad term for what and who it can affect, what brings it on, the degrees of dissociation, and the healing process. Little Miss So and So's dissociation, played an important role in her healing process, of course her dissociation was brought on by trauma. But as you read this story, you will find that the dissociation, seems to be all that helps her escape her mad world, her horrible dad and the stress and anger and deep sadness. Without the dissociative state that her mind is in, I wonder how she could have managed to survive? In the end, (I wouldn't normally tell you the end of a book, but in this case, i feel it's for the best:), Little Miss So and So, knows her name, who she is, and is ready to come out on top! This is something we can all take something from, somebody such as this character, going through what she did, and somehow she manages to find herself and heal. I also have to point out that Christine Stark, wrote this book in a series of prose poems. yes, it tends to be a little more difficult to read then most other books, but you will start to be able to comprehend what is going on and more then likely end up thinking, (just as I did), that this was probably the most brilliantly written novels you have ever come across. I love many different styles of writing, but this one takes the cake:) You may have to re read some lines as it can get confusing, (especially if you are busy with children) I believe it was the most appropriate story, as fragile as this little girl's mind is, the only way to take us there, was through a series of prose poems, which to me just added to the fragility of this story, but still in such a strong way, the same as Little Miss So and So grows and overcomes and finds her inner strength to be healed. This was such a touching book, I promise it will be very hard to put down, and I doubt that this character will be leaving your heart anytime soon. Please leave comments below and let me know if you have ever read this story, what you thought, and how it affected your life. If you are interested in buying this book, please click here! I am sure most of you have read the Diary of Anne Frank, maybe for school, maybe just because it was one of those books we all kind of read and thought about, cried about, and wished we were there to help Anne, and relieved that we weren't there during this time. I have always been fascinated with this time, the war, maybe more sickened then anything but still, this has always been one of my favorite times to read about. I have to say, All My Love, Detrick, will be one of these books that we put high up in the category of all time classics, all time favorites, well written novel that I hope to see on the Best Seller's list someday! The author does a fabulous job, painting a picture in your mind of this horribly sad tale about 2 families, on both sides of this awful part of history. Detrick and Leah are the main characters, and their lives and hearts are tested like nothing I can even comprehend or imagine. We all have played those, "what if" games, and this is one of the worst questions I could think of to ask in that game. What would you do if you were a Jewish girl, living in that time, and you were madly in love with a German boy, who reluctantly had to be on the other side? And vice versa. At least, this is something I hope and pray that none of us have to ever question in our lives. As a history book, Roberta Kagan has definitely researched everything and has everything down to a tee. This was such an incredible recount of Germany, Hitler, and how he came to be. The story explains each character so well, and you start to "know" each of them and how they chose what they chose. As a novel, Roberta Kagan is an amazing author who really does do a terrific job with descriptions, making these families now a part of my life, and an excellent job writing a book that can take you on a journey, a place to escape, (even though this time may not be your top choice of where you would go if you had the option). It is hard to put the book down, it is a long read but easily read. I have said this about few books before and of course I always like the book better then the movie, but this is one of those books that would really be a big hit! Roberta is quite an interesting person herself. When you read this book, you will start to wonder how in the world does she write about this in such a way that it seems she was there? Well, she does actually have personal ties to this, with both of her parents losing their entire extended families in the Holocaust. You can buy this book on Amazon, and check out more books by Roberta Kagan! I am interested in any comments any of you may have about this book. Did you read it? What did you think?